The Personalized Medicine Coalition (PMC) has released findings on ways that organizations can move personalized medicine forward in the clinical setting. The report, titled “A Roadmap for Facilitating the Clinical Adoption of Personalized Medicine,” was published in the March edition of Personalized Medicine, and was based on interviews and focus group discussions held at a national summit co-hosted by PMC and the Biotechnology Innovation Organization (BIO). PMC found that problems associated with the adoption of personalized medicine fall into five main areas: stakeholder education, patient empowerment, demonstration of value, clinical information management, and ensuring access. Daryl Pritchard, vice president for science policy at PMC, and lead author of the study, says despite the challenges, he believes precision medicine has reached a tipping point over the past three years. More than 25% of all the products approved by the FDA qualify as personalized medicine, he says. This is encouraging a rapid move toward personalized medicine. “Most hospitals have this on their radar,” he said. 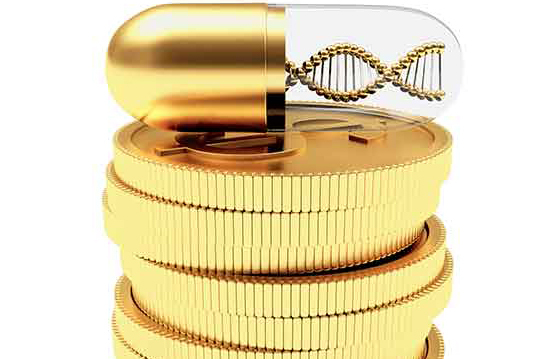 One of the biggest current hurdles for personalized medicine is who will foot the bill, according to Pritchard. For teaching hospitals, it’s an easier problem to solve. They can rely on research grants, he said. But for community health systems that want to be cutting edge, it gets trickier. Payers are looking for traditional evidence-based research to support reimbursement of personalized medicine, which often doesn’t fit this model. Payers do pay attention, however, when it supports value-based care. If personalized medicine makes care cheaper and improves outcomes in the broader picture, then it has a shot at reimbursement. The study recommends that healthcare providers interested in helping to move personalized medicine forward should consider hosting forums where payers, providers and the diagnostic and pharmaceutical industries can discuss health technology assessment processes and the requirements necessary for coverage. Alex Parker, associate director for the Center for Individualized Medicine at Mayo Clinic, says with the addition of genetic sequencing, healthcare has taken “an exponential quantum shift.” Part of that shift is due to the broad access to sequencing services, and the cost. The first genome sequencing took 15 years and cost roughly $10 billion, now the cost is under $1,000 and takes less than 24 hours, he said—and that price is still dropping. If asked, most doctors would tell you that they’ve never practiced anything but personalized and precision medicine to the best of their ability, Parker said. But now, those terms have taken on new meaning. Personalized medicine has become as personal as a patient’s unique genetic code, and this has provided doctors with an arsenal of new tools to guide wellness and treat diseases. Mayo Clinic began its personalized medicine program in 2013, with one aspect of that program providing genetic sequencing to help diagnose rare diseases in patients that have heretofore been undiagnosed. Some of these patients have piled up $2 million in MRIs, resulting in no diagnostic conclusions, Parker said. When Mayo began using genetics to analyze these patients, the clinic was able to diagnose roughly 20% of them. This not only gave patients hope, but payers could begin to appreciate the potential savings made possible through genetic testing in this scenario. Stage 4 cancer is another area where Mayo has seen payers willing to pay for genome analysis, Parker added. According to Franziska Moeckel, assistant vice president of personalized health at the Inova Translational Medicine Institute (ITMI) and co-author of the PMC study, precision medicine enables individuals to live longer and transforms healthcare from reactive to predictive. Inova Health System, a nonprofit health center located in Falls Church, Virginia, launched ITMI in 2011. The institute provides a combination of clinical care and bioinformatics, backed up by an in-house genomics laboratory. ITMI is part of the Inova Center for Personalized Health, which connects researchers, clinicians, and consumers to integrate genomic research for patient care, prevention, and wellness, Moeckel said. No matter what the challenges, Inova is dedicated to precision medicine because “these investments will be fruitful for years to come,” she said.